New York City has one, Washington, D.C. has one, and now (fashionably late to the party) Los Angeles is finally getting one. 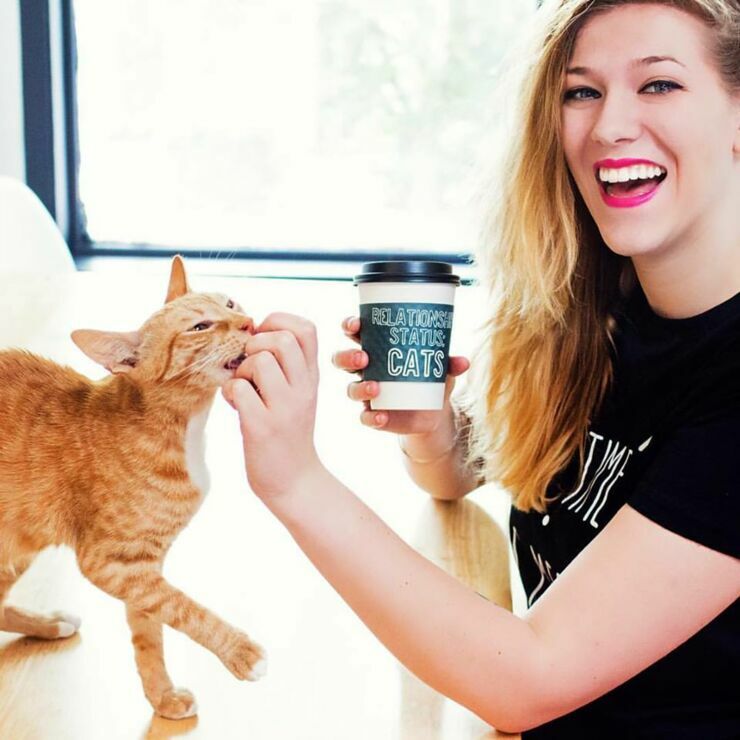 Crumbs & Whiskers, who run the cafe in Washington, D.C., are opening a new outlet of their cat cafe in L.A. at 7924 Melrose Avenue—it's due to open fall 2016. 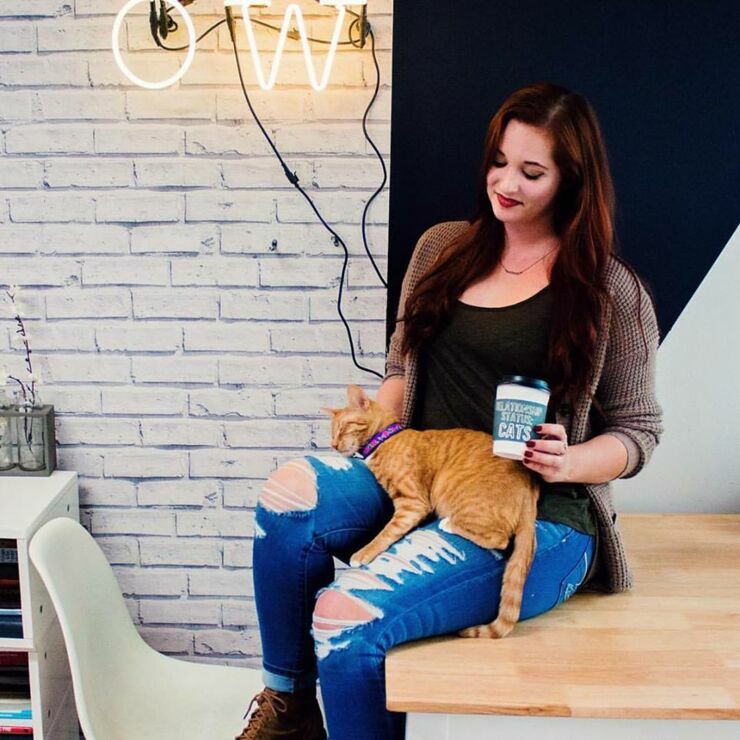 Cat cafes are places where humans and cats can hang out together, with patrons stroking or playing with a cat while enjoying a cup of coffee. They started in Japan but have now become popular elsewhere because, well, people like chilling with cats. And lets not forget you can also share a cuddle with them. 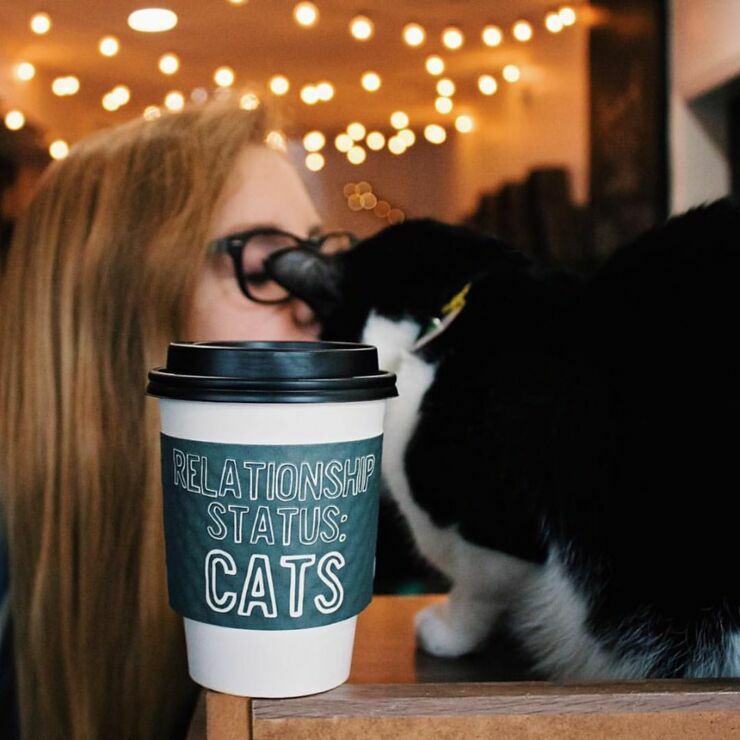 Anyway, where else could you possibly go to enjoy your 'cattuccino'. 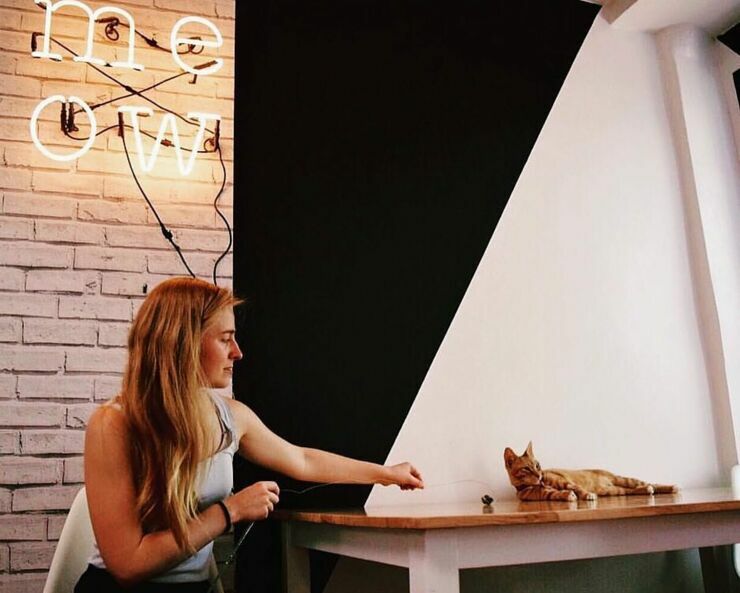 But the best thing about this cat cafe is that all the cats are up for adoption, so if you happen to fall in love with your new feline friend thete's a chance you can take them home with you. How cool is that. 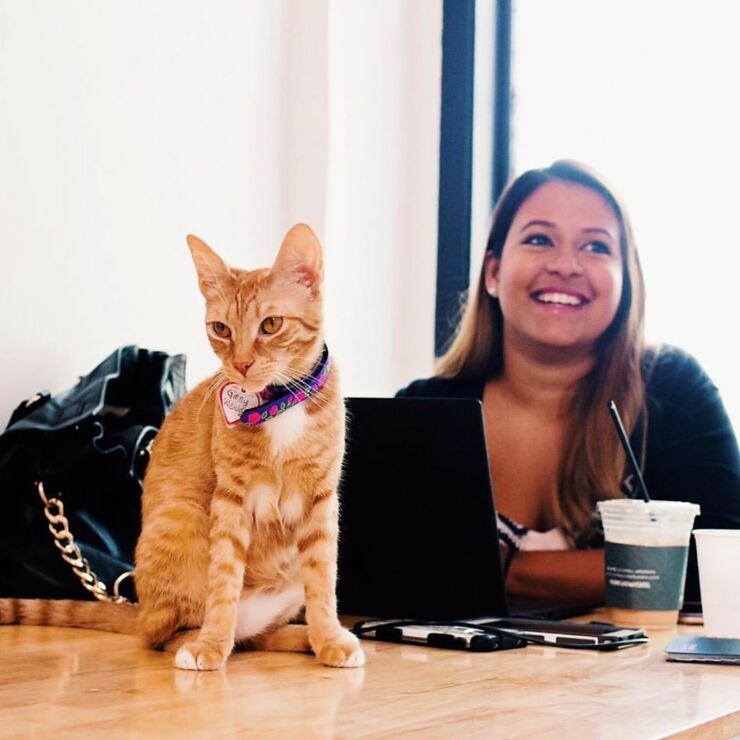 Owner of Crumbs & Whiskers Kanchan Singh said she was inspired while visiting a cat cafe on her travels in East Asia to open her very own cat cafe. "The short version is, I was traveling in Thailand and had met these people on the road who saw that I was sharing every meal with stray dogs and cats," Signh told LAist in a recent interview. 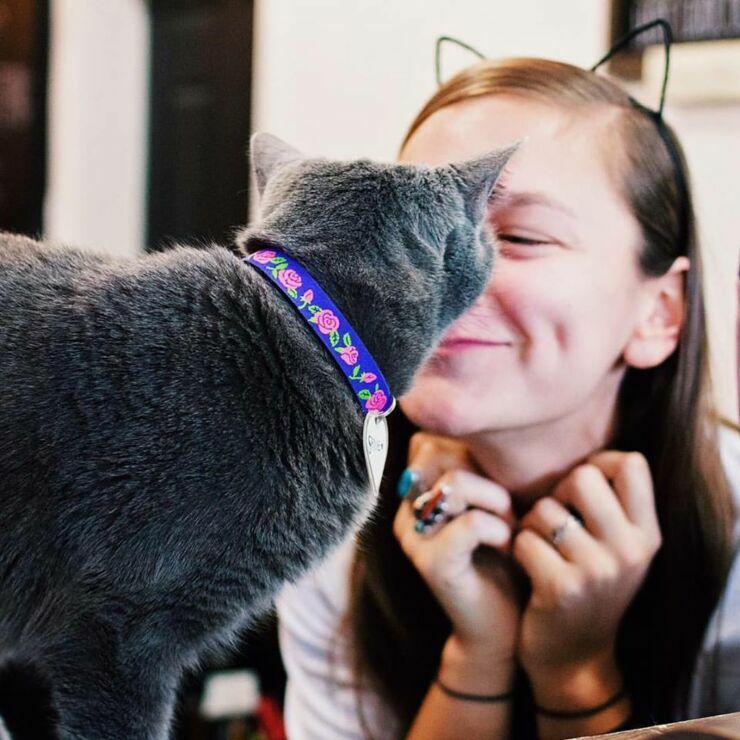 "They picked up that I really loved animals, and so on my last day in Thailand, which was also my 24th birthday, they decided to take me to a cat cafe. I didn't know what it was, and I went in there, and I remember thinking, 'This is amazing, why have I never heard of this before?' 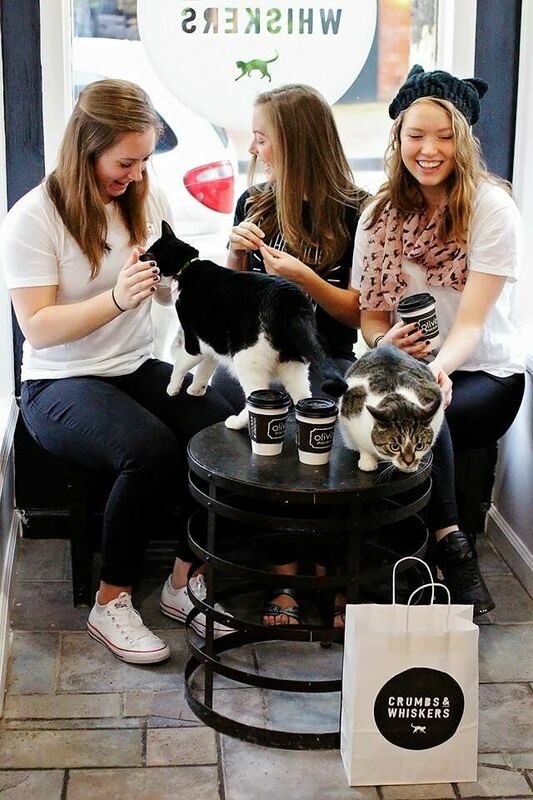 I told [my friends] that I was going to go home, quit my job, and start a cat cafe. And then I actually did it." Now she's opening another one. 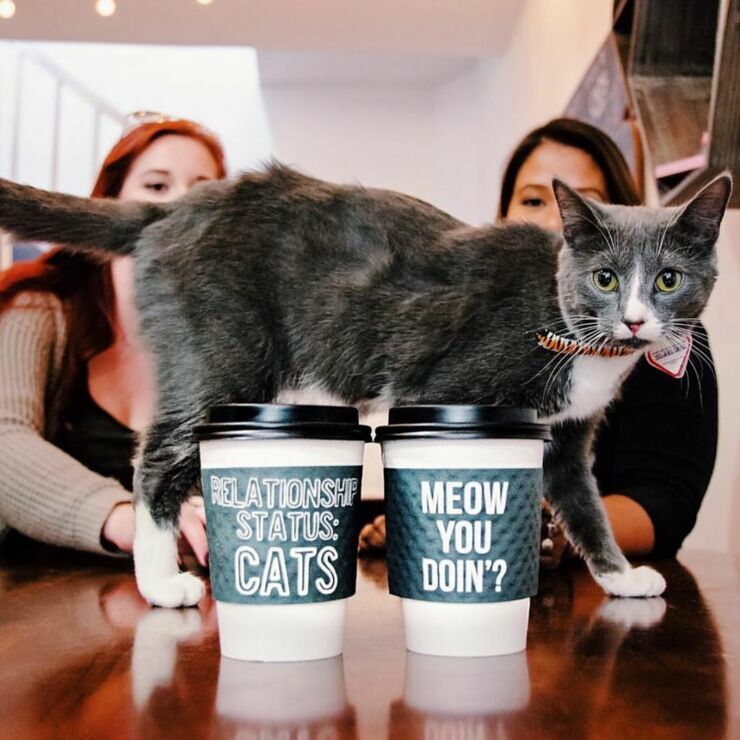 The L.A. cafe will use cats from a local shelter and they'll be around 15-20 there for patrons to chill with. You can check out some pics from Crumbs & Whiskers Washington, D.C. outlet below.